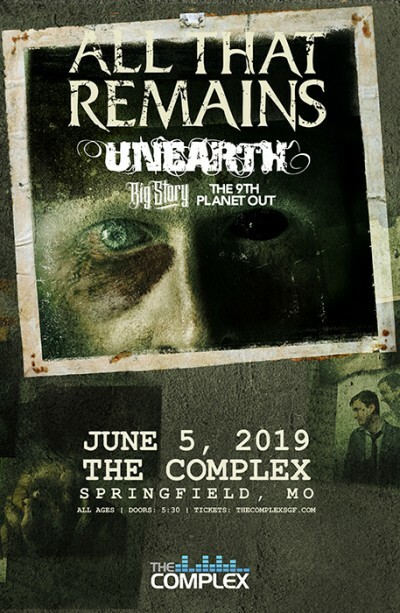 Since their formation in Massachusetts during 1998, All That Remains have built an undeniable legacy upheld by airtight songcraft, knifepoint precise metallic instrumentation, and stadium-size hard rock hooks. As a result, they’ve outlasted trials, tribulations, and trends to stand tall as as one of this century’s most consistent purveyors of heavy music with a bulletproof canon of arena-worthy anthems. All That Remains’ discography is highlighted by success at Active Rock including radio hits in the top 10 such as “Two Weeks,” “What If I Was Nothing,” and their first number one “Stand Up,”. Averaging 1 million monthly listeners on Spotify (an unprecedented feat for a metal band in any era), while cumulative sales eclipse 1 million albums worldwide. Not to mention, they’ve earned five consecutive Top 10 debuts on the Billboard Top Rock Albums Chart and four in the Top 5. Most recently, 2017’s Madness spawned the smash cover of Garth Brooks’ “The Thunder Rolls,” which trended on VEVO and generated 21 million plus total views and 8 million Spotify streams in under a year’s time. In addition to packing houses as a headliner, they’ve practically burned down festival stages everywhere from Rock on the Range to Welcome to Rockville.